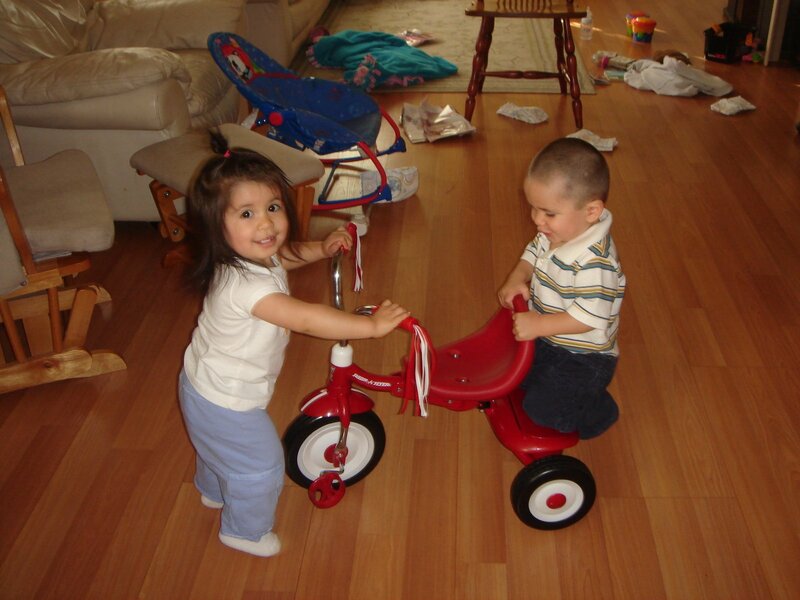 The twins were playing with their new trike, and Felix got on the back while LIli pushed him around. Notice in the background all the diapers on the floor. They found an open bag and pulled them all out. While my little cousin Bubbs went to the movies, we babysat Jasmine, his school project baby flour sack. Chone treated that thing like it was real, and can't wait to do it when she is in 7th grade. 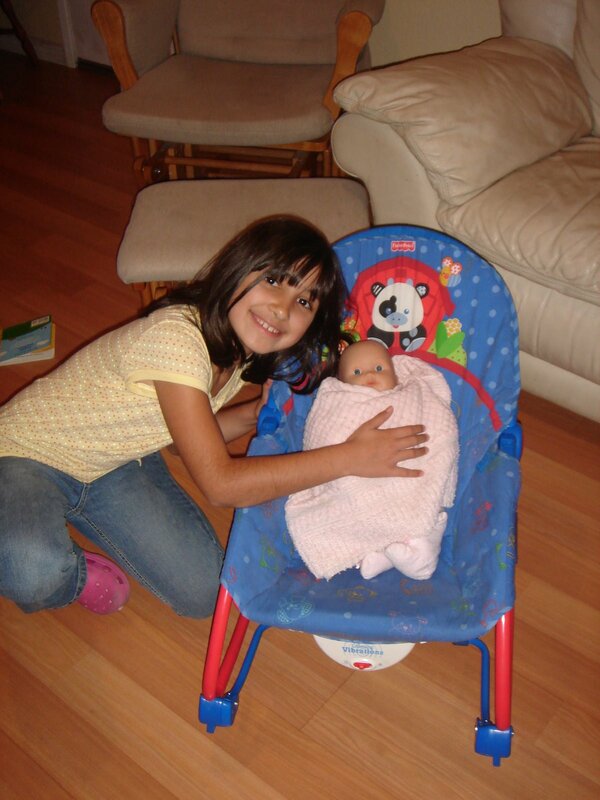 I had an egg in 7th grade.